Joe’s in Dunnville to check out a local Italian restaurant for this week’s Must See Monday! If you’re in the area you’d be crazy not to stop in, tell em Joe sent ya. Located at 217 Niagara Street in Dunnville, Julia’s Bistro & Catering is a quaint Italian restaurant, where good food and good friends come together. Julia, Owner of Julia’s Bistro and Catering in Dunnville, was raised by her father and mother who originated from Italy. Julia’s passion for cooking comes from her father, who was a chef in Rome. Her Dad had always wanted to run a restaurant and now Julia is fulfilling his dream and knows he is looking down on her with the same smile. You can definitely taste the passion in all of her food. Julia’s Bistro and catering is open for breakfast, lunch and dinner, and also available to cater your next event, big or small. For more info on hours, location, and catering options, click here. Today Joe and friends Jon and Sarah meet for lunch and Julia has promised to deliver the best selections of the menu. First arancini (breaded rice and cheese balls) and breaded zucchini spears with a zesty homemade marinara sauce for dipping. enough here to share, but looks like Joe wants the zucchini spears all to himself. Next up is a delicious garden salad. Following that, it’s eggplant parmigiana for Joe, veal farm for Jon and a veggie pizza for Sarah. 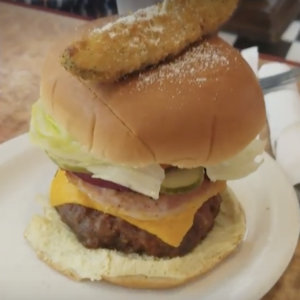 Not that there wasn’t enough food on the entree dishes, the Julia burger just looked so good, the group decides to just make more room and give it a try. Lastly, a deep fried Mars bar and Italian ice cream to finish off the meal. What a great lunch, with great friends at a great Italian restaurant. Go To Julia’s Bistro Today! Click Here To Get Directions! Next week Joe finds himself visiting duel gourmet food trucks. If you’re looking for some amazing food from a truck watch this Must See Monday here! Interested in having you business or event featured on an episode of Must See Monday? 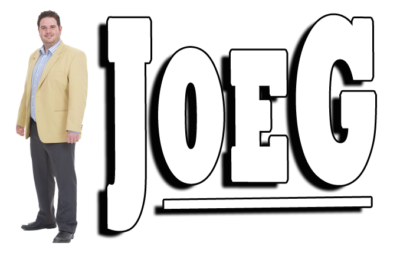 Click here to find out why Joe is ‘The Right Choice’ to promote your business.